The man was the sole occupant of the car, which collided with another at lunchtime yesterday. A MAN IN his 80s was killed in a road traffic collision in Wexford yesterday, Gardaí said. The man was driving along a road at Forth Commons, Co Wexford at around 1.25pm yesterday afternoon when his car collided with another car. The second driver, a woman in her 20s, and the front seat passenger, a man in his 20s, received minor injuries. The 80-year-old man was pronounced dead a short time later at Wexford General Hospital. This stretch of road was closed to facilitate an examination by Garda Forensic Collision Investigators and local diversions were in place but has since reopened. 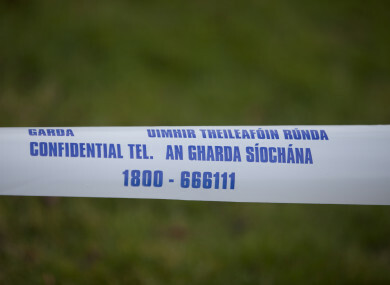 Gardaí wish to appeal for witnesses to contact Wexford Garda Station on 053 916 5200, The Garda Confidential Telephone Line on 1800 666 111 or any Garda station. Email “80-year-old man dies after road collision in Wexford”. Feedback on “80-year-old man dies after road collision in Wexford”.